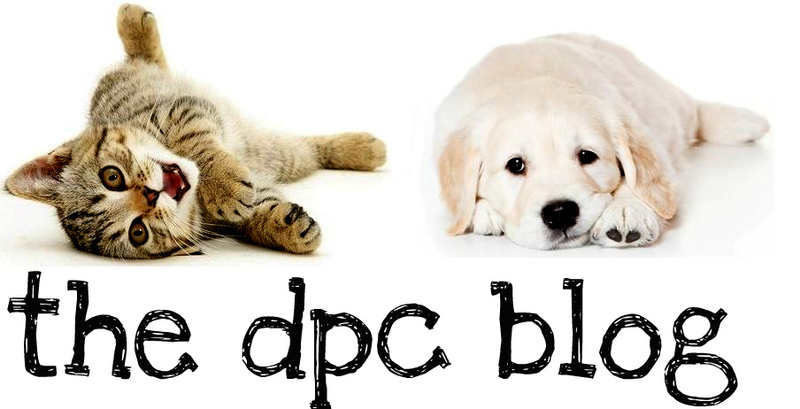 DPC's Blog: Man's best friend. Jon Tumilson, a Navy SEAL, was one of 30 Americans killed in Afghanistan on Aug. 6 when a rocket-propelled grenade took out a U.S. Chinook helicopter. 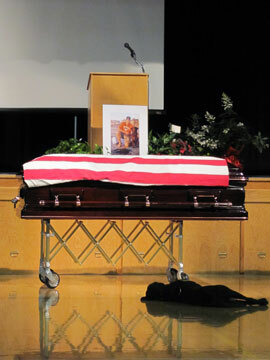 He was mourned at a service in Rockford, Iowa, attended by 1,500 family members, friends--and Hawkeye, Tumilson's dog. The Labrador retriever was such an important part of Tumilson's life that the friends and family of the San Diego resident called the dog his "son." When Tumilson's friend Scott Nichols walked to the front of the room to speak, Hawkeye followed, Today.com reports. "As Nichols prepared to memorialize his friend, Hawkeye dutifully laid down near the casket," Scott Stump writes. A video clip of the mourning dog can be seen here. KIMT-TV of Mason City, Iowa, covered the funeral. The photo on the right was taken by Tumilson's cousin, Lisa Pembleton, and posted on Facebook. Pembleton wrote on her Facebook page, "To say that he was an amazing man doesn't do him justice. The loss of Jon to his family, military family, and friends is immeasurable."